Canada had a solid tournament and losing in a shootout is always disappointing, but those are the rules, and they certainly worked in USA’s favour as they claimed back-to-back shootout wins in their two most important games. But this might be the last time we see gold claimed this way as the IIHF is reportedly looking for new overtime options that will do away (or all but do away) with the shootout. Hopefully it’s something they’ll implement before next year. A lot of the World Junior standouts were part of a ton of blockbuster trades as major junior teams are preparing for stretch runs. Don’t miss all our trade updates online, plus a closer look at a few in this month’s issue. On the Junior A side, things are really starting to ramp up as teams set their sights on the RBC Cup. The RBC Cup is one of the, if not the, hardest hockey championship to win. The shear number of teams and leagues that compete is incredible. We’re introducing a special weekly feature this month to help our readers keep track of who’s in the running on the road to the RBC Cup. Catch it online and in our newsletter. The biggest news coming out of hockey this month has to be Hayley Wickenheiser’s retirement. She has been such a trailblazer for the sport and really set up how all of the Team Canada women approach their careers – for them it’s not just about playing hard, it’s about growing the game. At HockeyNow, we’ve been able to give the female game increasing coverage over the years and a lot of that is thanks to Wick. She’s broken down so many boundaries and allowed girls hockey to really take off in Canada, resulting in more players, teams and tournaments for us to cover. Of course there’s still a lot of room to grow, but no question girls hockey wouldn’t be where it is today without Hayley Wickenheiser. What a career. I bet a TV documentary will come very soon. With the new year, we’ve launched a new newsletter and we thought we’d throw in some cool prizes as an extra incentive for signing up. Stay tuned for loads of contests on Twitter, Facebook and in our newsletter. We get the chance to get our hands on a ton of awesome hockey gear, products and books, and we love giving it away. Make sure to follow us so you don’t miss any of these contests coming down the pipe. 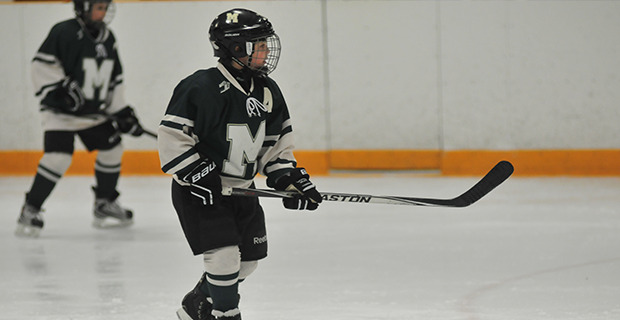 Finally, we feel very privileged to be able to bring you this month’s feature on mental health in minor hockey. We met a lot of great people who are doing such important work to make players feel accepted and safe. Help is out there. A lot of these initiative came from a place of tragedy but they are doing so much good for so many now. We all have a responsibility to break the stigma around mental illness and we hope this issue has at least a small part it doing so. Thanks for reading. Make sure to follow us on Twitter, Facebook and hockeynow.ca, and sign up for our newsletter. And don’t be shy to let us know what you like and what you’d like to see more of.